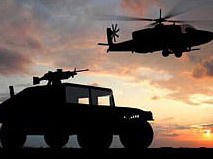 Opti Temp designs and manufactures custom chillers and thermal management solutions for the Military and Defense industry, including chillers for use in security systems, integrated defense systems, military platform systems and high technology systems requiring high quality cooling solutions. Opti Temp provides custom cooling systems that are rugged, transportable, supportable, affordable, and “flight ready”, with higher cooling capacities as required in these targeted applications. Opti Temp has demonstrated a superior ability to design custom thermal management systems and has proven to be a reliable supplier of refrigerated chillers and non-refrigerated heat exchanger equipment for a number of military and defense contractors. We recently supplied a dual chiller system to test a large laser system. In another prototype build the customer needed a cooling system for testing missiles. Yet another cooling system required an airborne 1.5kW rack mount heat exchanger system designed to operate up to 100, 000 feet. Since 1990 Opti Temp has been a reliable supplier of Fluid Chillers and Heat Exchanger equipment for Military & Defense applications. Opti Temp can build a standard cooling system or, if needed, design a custom thermal management solution to customer requirements for size, portability, operating conditions, thermal load, and system footprint. Opti Temp's Chillers and Heat Exchangers are designed for the industrial environment with a long service life in mind. These chillers and heat exchanger systems are designed to customer specifications.